This Edition is notable for the inclusion of Tolkien's first published work, 'Goblin Feet', which first appeared in Oxford Poetry 1915. Also notable is the fact that Tolkien's Name is mis-spelt as 'Tolkein' in both the Contents Page and at the end of the Poem 'Golblin Feet'. Other authors include Edith Sitwell, Robert Graves & M Nightingale. 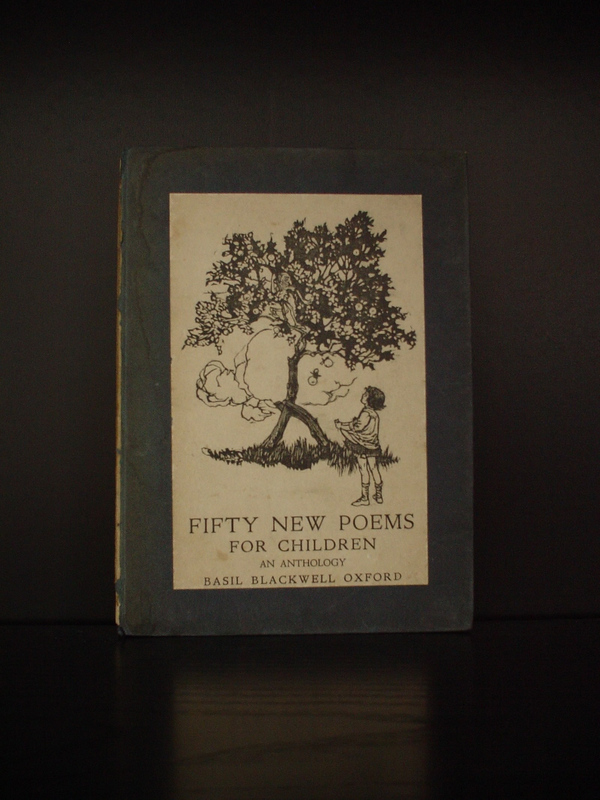 Fifty New Poems for Children was published in 1922 by Basil Blackwell. Although the book does not give a publication date, 1922 can be assumed. It contains pieces published in 1922 and a copy with a January 1923 dated inscription has been seen. The British Library catalogues also list it as 1922. It was reprinted in 1924 and 1929. American editions have been seen published by Bretano’s (undated) and Appleton & Co. (1924). ‘Goblin Feet' is also reprinted in Carpenter's Biography and Anderson's Annotated Hobbit.